The word had just leaked out in the Los Angeles Times newsroom. Everyone gathered around to hear the news. There was champagne ready to be poured. Then word finally came from Columbia University: the Times had the Pulitzer Prize for public service. People cheered, applauded and raised their glasses to toast the two reporters most responsible for the award, Ruben Vives and Jeff Gottlieb. The pair had spearheaded the paper’s investigation that had uncovered rampant corruption in the city of Bell. For Vives, it was the pinnacle of an unlikely journey. Just 12 years before winning the most prestigious award in American journalism, Vives worked at the Times as a copy clerk. But that wasn’t his biggest challenge. For a time, Vives had been an undocumented immigrant. 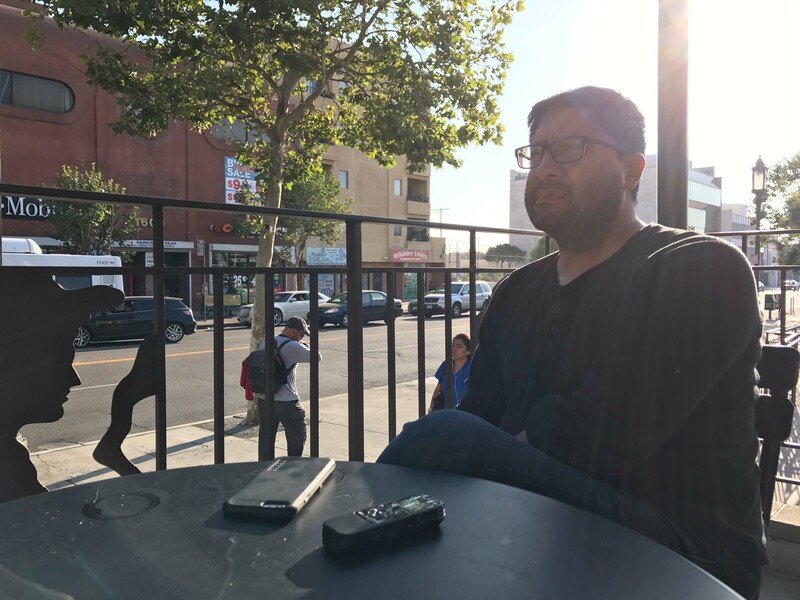 How he went from a young man fearful of being deported to a Pulitzer winner is a story of hard work, a bit of luck and, perhaps most important, friendship. His success story stands out in a time of increased scrutiny on undocumented immigrants, particularly of those brought to the United States as a children and face deportation under policies of President Donald Trump. Just on Tuesday, the administration announced it was ending the Deferred Action for Childhood Arrivals (DACA), an Obama-era program that allowed nearly 800,000 undocumented immigrants who came to the United States as children to stay in the country. Vives was not part of the DACA program, but his story started like many of the so-called “Dreamers,” thousands of miles away from the United States. Vives spent the first five years of his life in Guatemala before immigrating to Los Angeles to reunite with his parents. He grew up in Echo Park, a Los Angeles neighborhood once riddled with poverty, crime and gang violence. His mother worked as a housekeeper and Vives often tagged along. For Vives, it was a childhood stuck between worlds. His mother, Silvia Vives, eventually began working as a nanny for Shawn Hubler, then a reporter at the Times, and her husband, Robert Magnuson, an editor for the paper. The families became close — the couple helped Vives’ rent a home in Whittier, and the children even attended the same school. “Silvia helped raise my children, and I helped her raise her children,” Hubler said. When he was 17 and getting ready to graduate from high school, he learned something that cast doubt on his future: His visa had long expired. He was living in the country illegally. His mother began contemplating the worst. Her son might have to return to Guatemala, a country that he hadn’t visited in more than a decade. Hubler immediately stepped in, seeking advice from a lawyer she once profiled for the paper. It took weeks of bureaucratic wrangling but she eventually succeeded in getting Vives his green card. It was around that same time, in 1999, that Hubler got Vives a summer job as an editorial assistant at the Times. He answered phones, ran off copies, fetched coffee. But he also started helping reporters, conducting Spanish-language interviews, often convincing reluctant crime victims to talk. Vives was studying journalism at Cal State Fullerton, and his knack for storytelling led to a job running the Times’ “Homicide Report,” tasked with compiling details on every killing in Los Angeles County. Vives was no stranger to the tragedy of the streets. When he was 10-years-old, gang members beat his uncle to death. “The family was never the same after that. We all fell apart,” he said. He learned of his uncle’s death while he was playing with a toy airplane, and he remembers pretending the plane was dropping bombs on gang members. “I remember the effects of a homicide on a family,” he said. “That’s why I got very obsessed” with the Homicide Report. He could relate to the families he wrote about and found ways to talk to them and have them open up about their sorrow. Before long, Vives was assigned to cover Southeast Los Angeles, where he wrote everything from light features — including the tale of a beloved fire truck that sits atop a roof in Vernon — to the story of “Worm City,” a row of homes in Compton that became a breeding ground for vermin. But it was his work investigating the small town of Bell that earned Vives national fame. Bell only has a population of around 35,000 residents and rarely made news. Then one day Vives got a tip and, along with Gottlieb, revealed that city officials in the small industrial town had been raising taxes and fees while making themselves among the highest paid officials in the country. The reporting led to the arrest and conviction of several high-ranking Bell officials, including the city manager and several council members and administrators. Robert Rizzo, the city manager, was convicted on corruption and tax fraud charges. He was sentenced to more than 12 years in prison. But before those criminal trials, came the Pulitzer. Among those who heard the news that day were Hubler and her husband. They burst into tears. Tomas Rodriguez is a first-generation college student at Cal State Northridge with a passion for storytelling and a deep enthusiasm for shoe-leather, on the ground reporting. He’s native of Koreatown in Los Angeles, and describes himself as a proud Chicano with Oaxacan roots. He first developed an appreciation for journalism while traveling and capturing moments through a camera lens. Rodriguez loves print and broadcast journalism, and he wants to be adept in both platforms. He is the editor of El Nuevo Sol, his school’s Spanish language newspaper, and also learning how to produce videos. If it’s anything to do with sports, Rodriguez is into it. On his favorite days, he’s at a baseball game at Dodger Stadium. 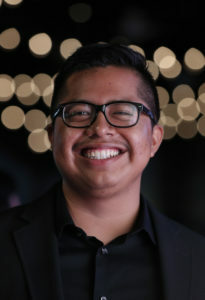 His role models include his professor, Jose Luis Benavidez, who has mentored him since he began attending college, and Los Angeles Times reporter Ruben Vives, an immigrant who became a U.S. citizen in high school and went from being a copy editor to the winner of a Pulitzer Prize. Rodriguez will be one of 11 students covering the 2017 Excellence in Journalism Conference for the Latino Reporter.